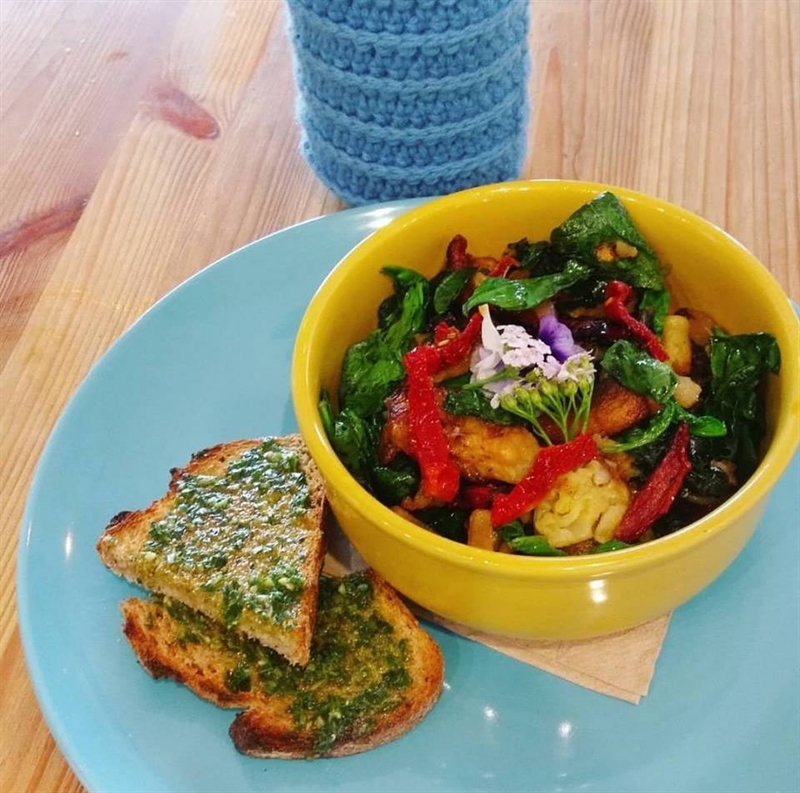 Vegan Lasagne: layers of gluten-free pasta, filled with roast zucchini, eggplant, spinach, mushrooms, baby spinach, capsicum and Neapolitan sauce, topped with cauliflower and béchamel sauce, served with salad. 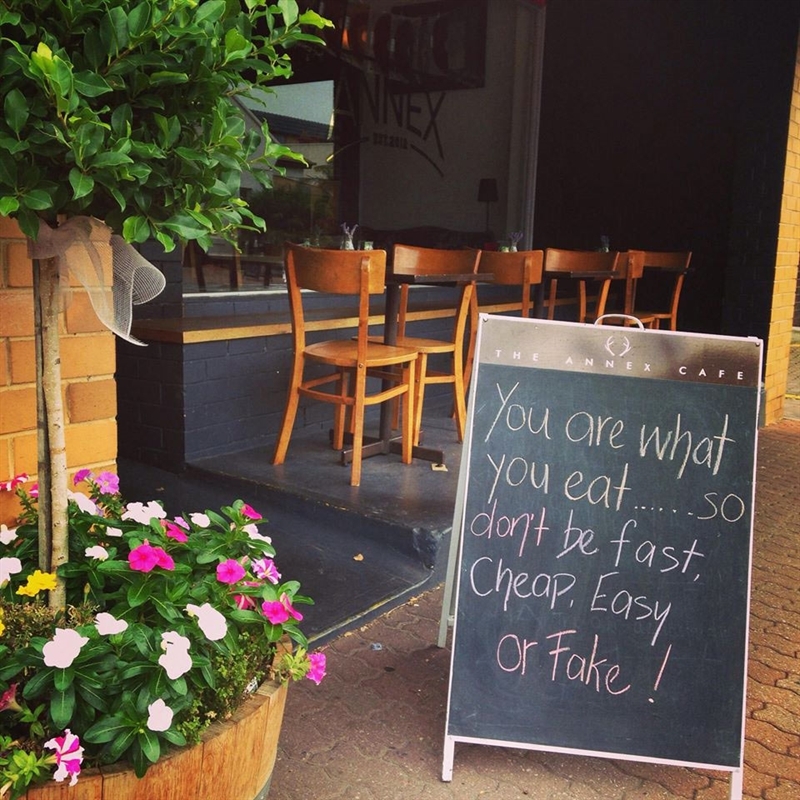 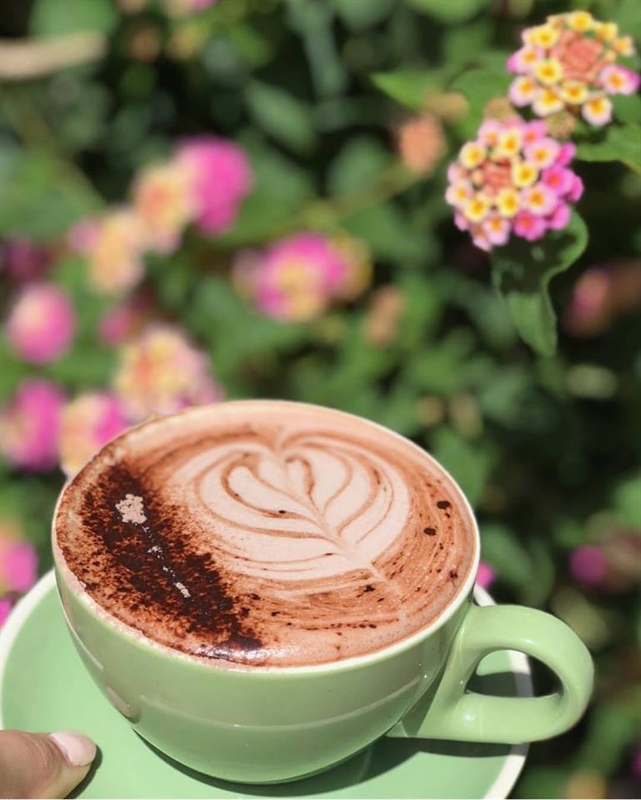 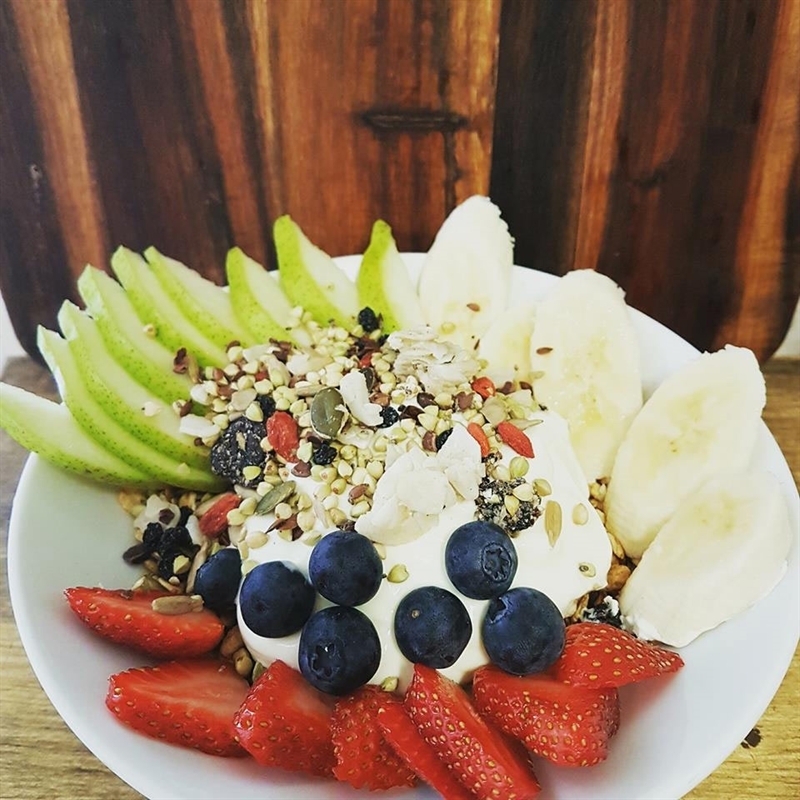 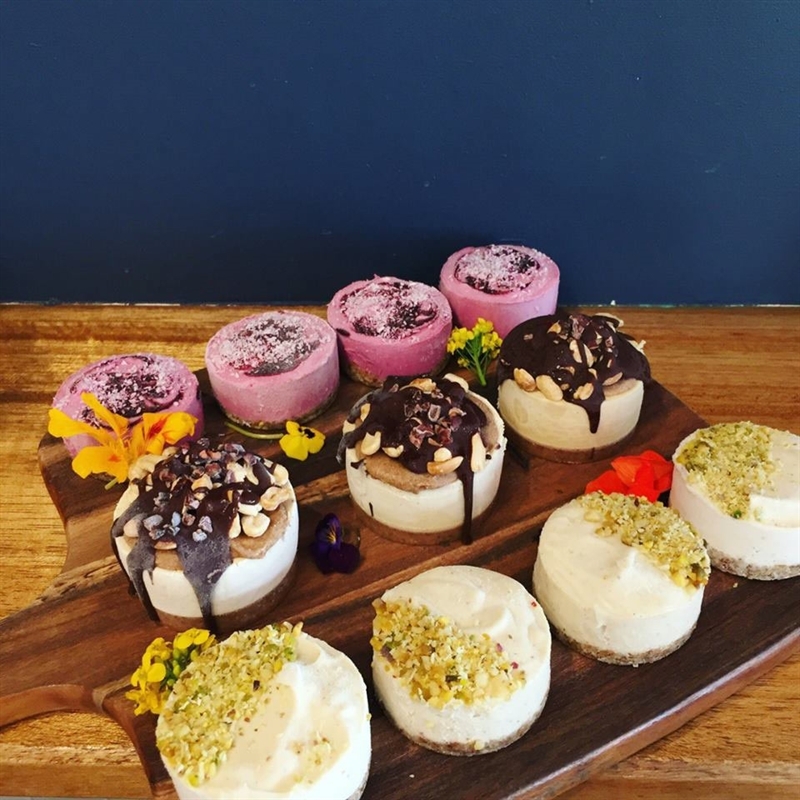 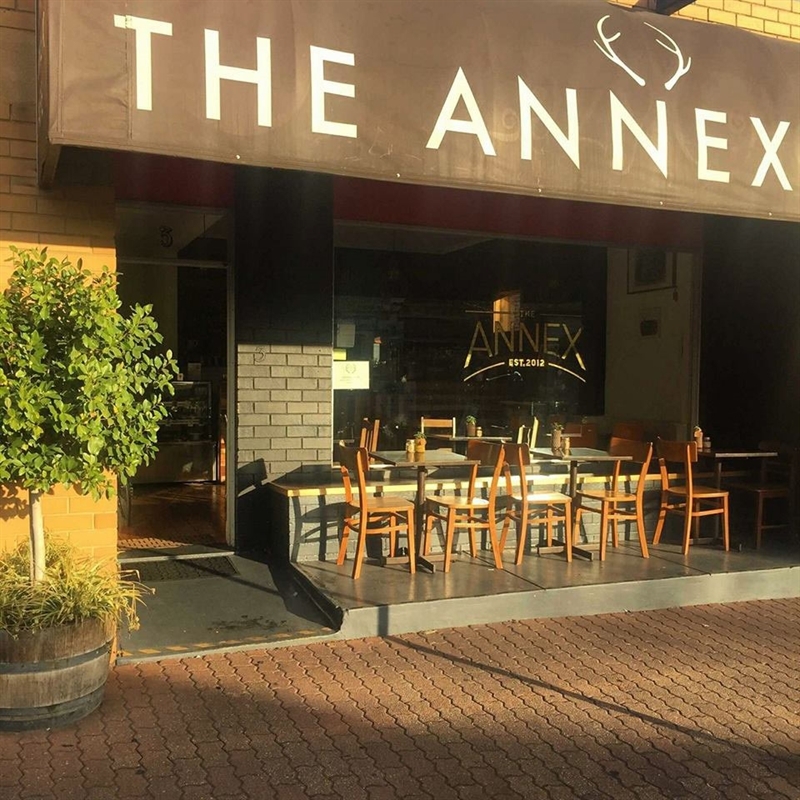 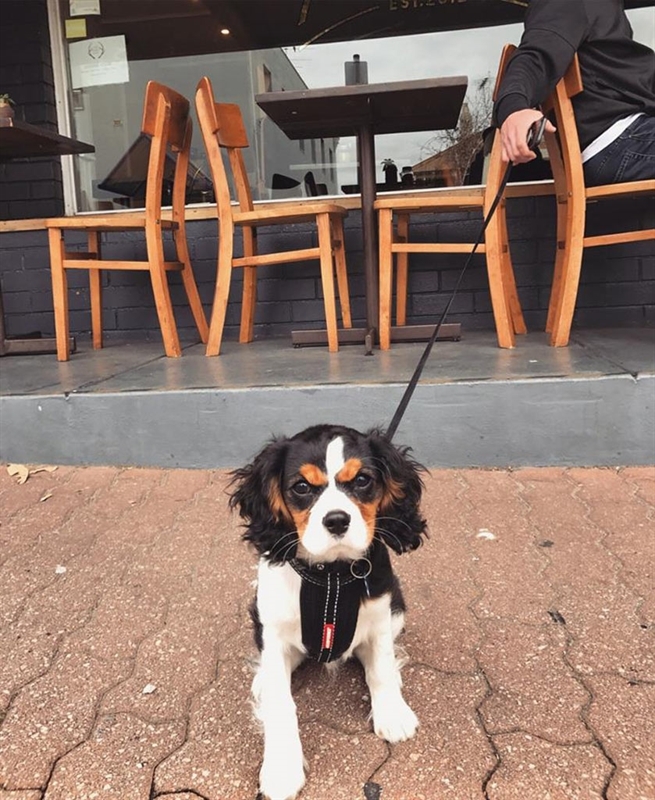 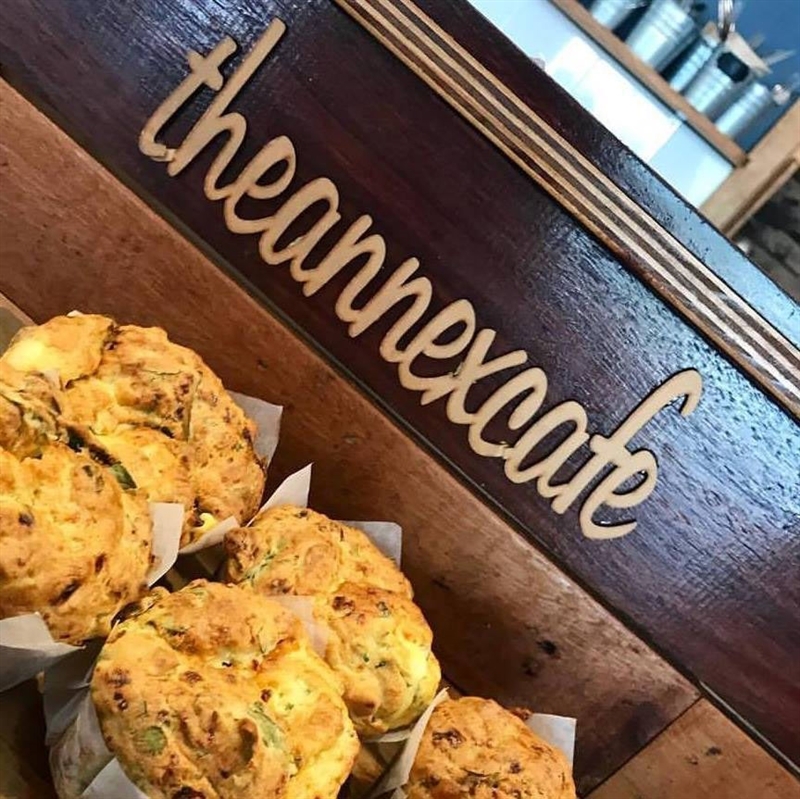 Food and wine is part of the Glenelg lifestyle and trendy beachside eatery, The Annex Cafe, caters for all tastes, from the totally hipster to locals and tourists after a cafe bite. 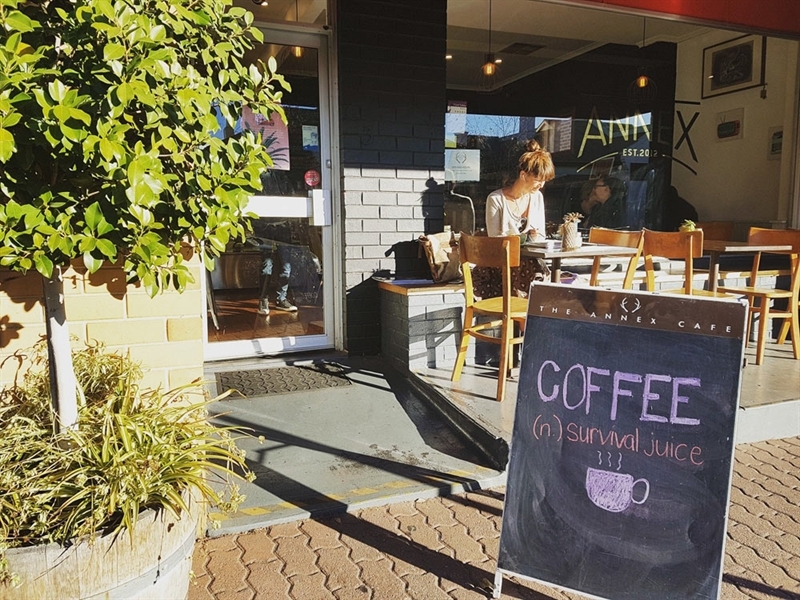 Located off Jetty Road with a great outside space and ambient interior, this little gem rocks a vintage fitout of timber tables, metal chairs, exposed brick walls and funky abstract artwork. 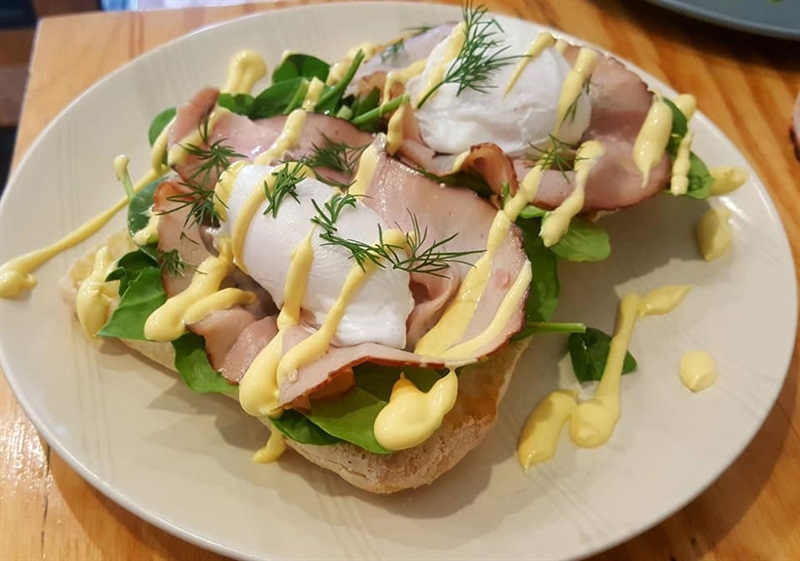 From a menu serving up vegan, vegetarian and gluten-free options, try an all-day breakfast dish of smashed avo bruschetta, on rye sourdough with goats cheese and a drizzle of basil pesto. 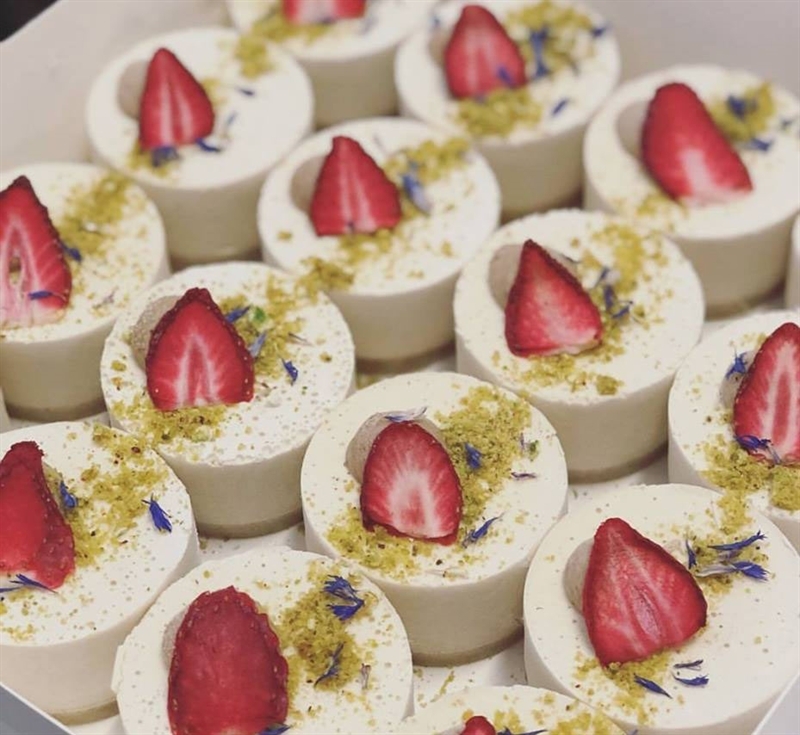 Those stopping by later may be enticed by a smoked salmon bagel, with cream cheese, salad greens, horseradish cream and capers; or grab a tempting treat from the display cabinet such as a raw strawberry, lime and macadamia cheesecake.